Free Christianity 101 Course - A Free Bible Study Course for All Levels. The Bible has so much to say. But where do we begin to learn? How do we develop a strong understanding of the doctrines that the Bible teaches? Do we open it up and read it like any other book? Today there are so many doctrines that contradict each other. But the Bible has always said the same thing. The reason so many people have beliefs that don’t add up to what is in the scriptures is because of a lack of knowledge. To be honest, you can’t blame people too much about that. There are very few who have actually trained to become the disciples that they should be. This Bible course is the first in a series of Bible courses. I will walk you through the basic doctrines of the Bible. We are going to lay precept upon precept. Little by little, we will build ourselves up in the faith. We will do this by studying the Bible. In the end, we will be able to not only stand strong against any false teaching, … but we will also be able to teach others. You can not build a house by starting with a roof. You must start from the foundation. If you skip any of these lessons you may end up with a crack in your wall or a demolished home (speaking of your faith). Even if you believe you already have a good grasp on some of these things it would be good to test yourself. 1 Therefore leaving the principles of the doctrine of Christ, let us go on unto perfection; not laying again the foundation of repentance from dead works, and of faith toward God, 2 Of the doctrine of baptisms, and of laying on of hands, and of resurrection of the dead, and of eternal judgment. Faith toward God is the first of the foundational principles. It begins through hearing His word. You can not build a solid belief system without this! People ask many questions about free will, sin, and the wrath of God. Few understand the reason for Hell, what happens when we die, and what will happen when we God judges us. This is essential for you to grasp the future lessons of repentance and resurrection. Despite what you may have heard, salvation doesn’t come only by believing in Jesus. The Bible has a lot more to say on the subject. In this course we will begin to understand what repentance is. We will know how to salvation works, and learn what it means to follow Jesus. When people think of the baptism in the Holy Ghost they often think of speaking in other languages. 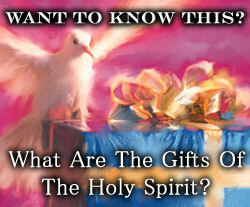 There is so much more to the Holy Ghost, though. Learn who He is, what He does, and how to receive Him. In this course, you will learn that and so much more! What is a blessing, and why is there power in the laying on of hands? We have to throw away superstition and begin to understand the reality of these subjects. Discover what effective prayer is like and how our hands can be used in the ministry of the Holy Spirit. See what the Bible has to say about the future. End time prophecies are vast and detailed. But what is the big picture? What does the final chapter of the world look like? Learn about the resurrection, rapture, tribulation, and final judgment.